The Federal Reserve of Donald Trump’s administration will revolve around more than just what happens to Janet Yellen. 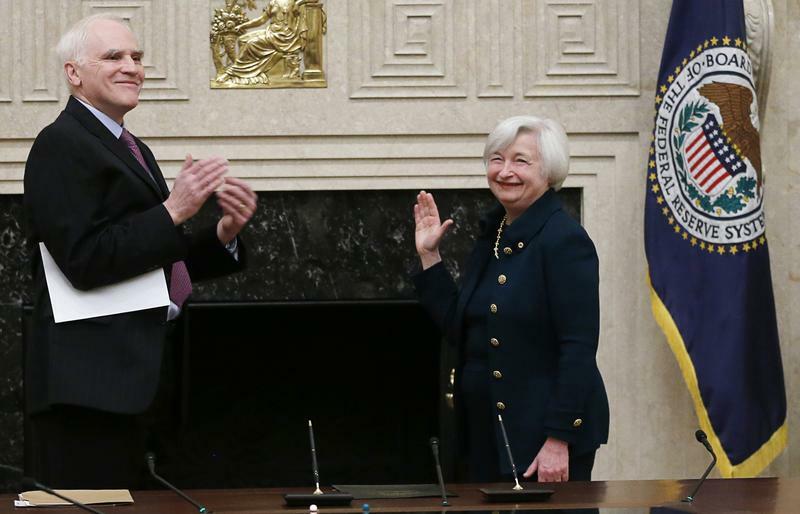 The central-bank chief plans to serve her full term under the new U.S. president. As important, though, is the undecided fate of Governor Dan Tarullo, who has pushed for harsher rules for Wall Street. Yellen told lawmakers on Thursday that she plans to stay on through the end of her term in 2018. She also defended regulatory reforms that require banks to have higher capital, more liquidity and less leverage since the 2008 financial crisis. Trump and his allies have attacked these tougher rules and also want to roll back the Dodd-Frank legislation of 2010. Tarullo has been the driver of President Barack Obama’s regulatory overhaul. He is largely responsible for the country’s eight largest U.S. banks now having to hold up to double the capital of their smaller rivals. He also made the biggest foreign lenders restructure their U.S. units to make them more resilient. He has put his biggest stamp on the annual stress tests that this year applied to 33 banks. The results determine whether a bank can pay or increase its dividends and buy back stock. In September, Tarullo pitched a “stress capital buffer” that could further increase requirements for the largest banks. Trump’s administration may well ditch those plans. House Financial Services Chairman Jeb Hensarling wants to change how the tests are administered and allow banks to opt out of Fed and Basel III capital and liquidity requirements if they meet a 10 percent leverage ratio. Hensarling already has the ear of the president-elect. The two met at Trump Tower on Thursday and Hensarling has been mentioned as a possible Treasury secretary pick. Tarullo’s term doesn’t end until 2022. But since his views as the Fed’s self-styled regulatory guru are at odds with both the White House and Congress, it wouldn’t be surprising to see him go. If Hensarling’s plan then quickly takes shape, a lot of banks would be able to ramp up dividend payments and boost returns on equity by buying back more stock. Lenders usually reckon on needing 12 months or so to reap the full benefit of a rate hike. It’d be no surprise if executives are already rehearsing how to wish Tarullo a speedy retirement. U.S. Federal Reserve Chair Janet Yellen told Congress on Nov. 17 that she plans to fulfill her four-year term, which ends in 2018. Her future has looked uncertain since the Nov. 8 election of Donald Trump as the next U.S. president. During the campaign, Trump said he may replace Yellen and accused her of keeping interest rates artificially low to help Democrats. Fed governors like Dan Tarullo, who has headed regulatory efforts, serve 14-year terms. His tenure is scheduled to end in 2022.